The Pelican Nebula (IC5070) is located "nearby" at only 2,000 light years in the constellation of Cygnus, The Swan. It is part of the same star-forming region of its famous neighbor, the North American Nebula (NGC 7000), which is off to the left in this image. 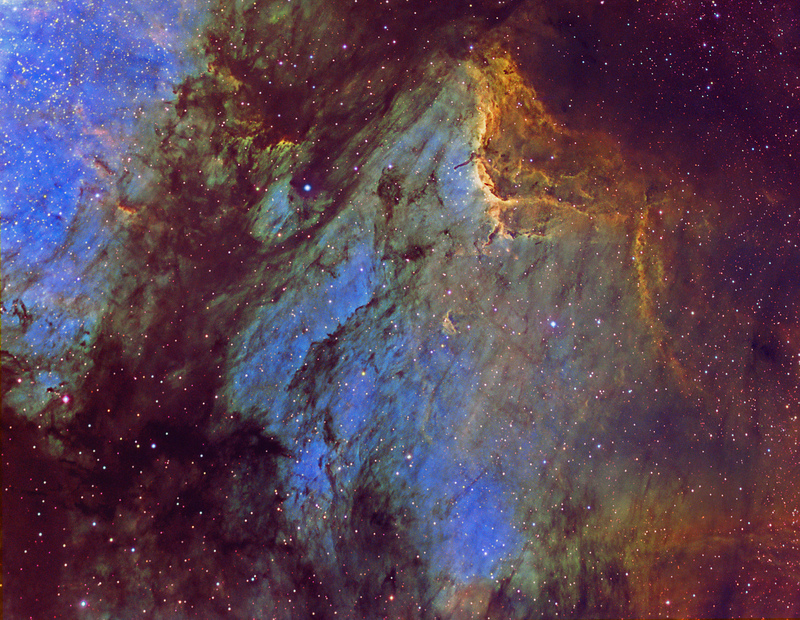 This is a "false-color" or "mapped color" image of the Pelican using narrowband filters to bring out structural detail, similar to the way Hubble Space Telescope images are often presented (e.g. Pillars of Creation). OIII, H-a and SII data were color mapped to blue, green and red, respectively. The golden brown color therefore denotes a strong mixture of H-a (G) and SII (R) at ionization fronts. RGB data were added for star color. 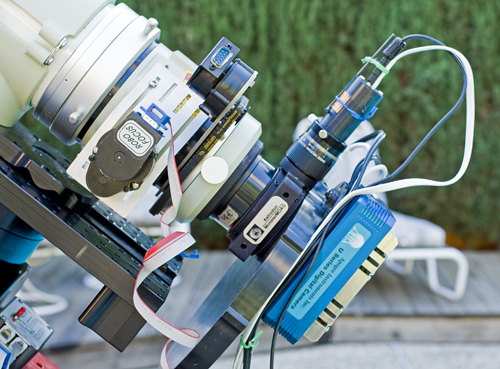 The Takahashi FSQ-ED is an improvement over the original FSQ106N refractor, the latter of which had significant focus differences between red, green and blue.